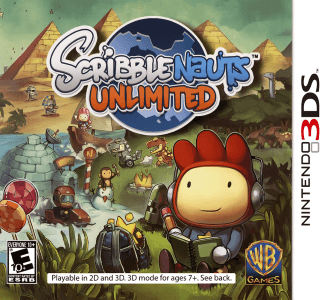 Scribblenauts Unlimited is an emergent action puzzle video game developed by 5th Cell and published by Warner Bros. Interactive Entertainment for the Nintendo 3DS. In Europe it was published by Nintendo. Scribblenauts Unlimited works well, with no major graphical or audio issues. Performance is good but not great on decent hardware.